Do you often find yourself searching at length for TripAdvisor reviews before booking a hotel? You need search no more! Novotel Bangkok Ploenchit Sukhumvit is one of the best TripAdvisor 4-star hotels in Bangkok. Indeed, as of 8 March 2016 Novotel Bangkok Ploenchit Sukhumvit ranked 48th among 700s other Bangkok hotels and had earned a Certificate of Excellence from TripAdvisor. An important reason we’re a best TripAdvisor 4-star hotel in Bangkok is our convenient location right in central Bangkok. 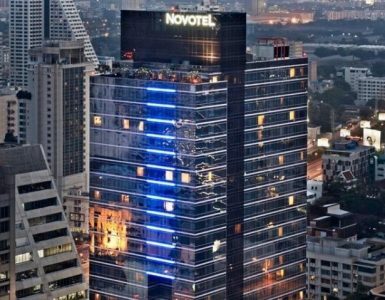 Novotel Bangkok Ploenchit Sukhumvit is a Bangkok city hotel near BTS SkyTrain – Ploenchit Station, with convenient connection to the city’s MRT underground and Airport Rail Link systems. Nearby are many of the city’s major shopping malls, business districts and leisure attractions. 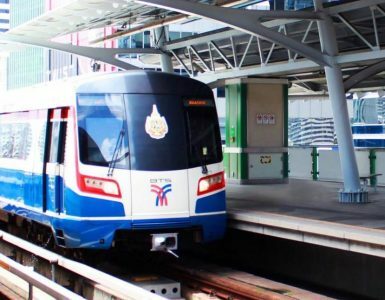 So, getting to and from the hotel and travelling throughout Bangkok will be quick, cool and easy. You will fall in love with rooms of modern contemporary design with plenty of natural light at our hotel. When it comes to factors making us a best TripAdvisor 4-star hotel in Bangkok, our hotel is especially known for its plush bedding. And with a pillow menu in every room, you are ensured to sleep well in customised comfort. We likewise keep to the highest hygiene standards – our highly efficient housekeeping staff will make sure everything is squeaky clean and just right before check-in. Many guests have praised our excellent staff, likening the service they received to that at a 5-star hotel. In addition to courteous and highly knowledgeable staff members, Novotel Bangkok Ploenchit Sukhumvit also offers services such as personalised limousine service for convenient and comfortable airport transfer. And those are just the top three reasons we’re one of the best TripAdvisor 4-star hotels in Bangkok. Stay with us and experience many more.